Up to 36 months 0% interest free credit available on this product! "On the road the R9 RS surprised me by being just a little bit better than I expected in almost every way"
Super strong yet superlight frame construction, built for distance, designed to climb, descends like a missile. 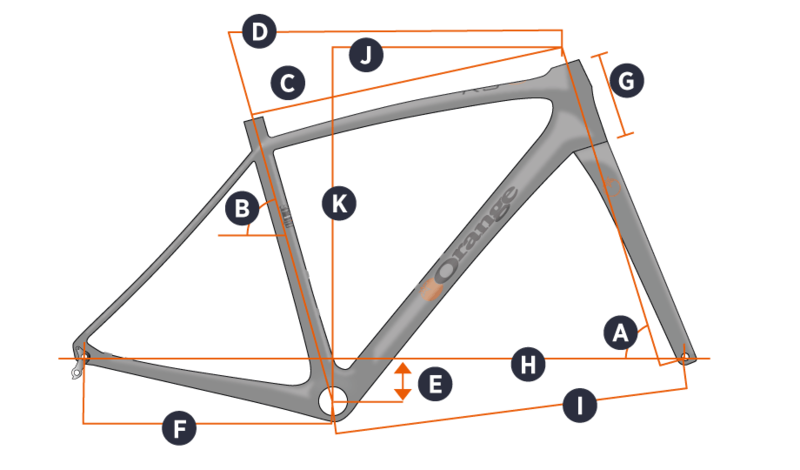 Designed to be the pinacle in endurance tarmac performance the Orange R9 unidirectional Carbon fibre frame features a stiff front end lay-up to ensure sure-footed handling at speed, coupled with compliant rear stays to give all-day comfort for long assaults in the mountains. Disc braked, compatible with bigger modern road tyre volumes and drivetrain agnostic; run cabled, wired or wireless systems, the Orange R9 does it all. And, while it's built to perform, it's some looker too. The Orange R9 Pro is spec'd throughout with quality components. Full Shimano Ultegra befit this performance package that's built to hit the hard miles. Sunset Cycles offers the 2019 Orange R9 Pro carbon road bike with up to 36 months 0% finance and free delivery. Rider Height Guidance* 5'5" to 5'7" 5'6" to 5'10" 5'9" to 6'1" 6'0" to 6'3"